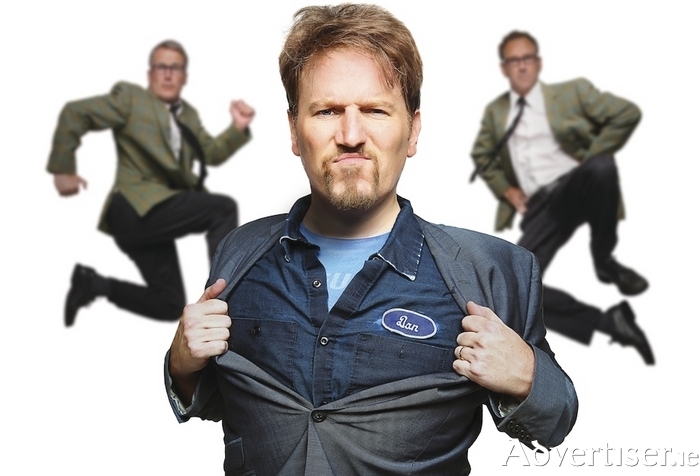 WHETHER YOU know it or not, The Dan Band is the most popular wedding band in the world. Nobody can nail a 1980s classic better than Dan Finnerty as Galway will find out at this month's Vodafone Comedy Carnival. Dan first caught America’s attention with his foul-mouthed rendition of ‘Total Eclipse Of The Heart’ which was a laugh out loud moment in the box-office smash Old School. Appearances as the sleazy bat-mitzvah singer in Starsky and Hutch, and as the inappropriate wedding singer in the record breaking hit The Hangover, cemented The Dan Band’s status as a cult phenomenon. What started as a drunken joke for Finnerty singing ‘I Am Woman’ at a karaoke bar has spiralled out of control into The Dan Band - a cult phenomenon that has garnered rave reviews from The New York Times, The LA Times, Rolling Stone, and Variety, while Entertainment Weekly called them "the hottest ticket in Hollywood". They have been on The Tonight Show, Jimmy Kimmel Live, Ellen, The Late Late Show, while Steven Spielberg is executive producing their one-hour concert special The Dan Band: I Am Woman. The Dan Band will be the house band in the Roisin Dubh on Friday October 28, Saturday 29, and Sunday 30 of the Vodafone Comedy Carnival. Expect to hear 1980s classics, as well as more modern (and profane ) takes on ‘Single Ladies’ or ‘Hips Don’t Lie’.